It’s not uncommon for a dog to experience an allergic reaction. If you have them yourself, you already know how miserable your pooch may feel. In our desire to help our four-legged friends, we may decide to turn to Benadryl to provide him aid. But should we? Can Benadryl be Used to Help My Dog Get Over an Allergy? Benadryl is, in fact, one of the few human over-the-counter drugs that can be administered to a dog with a veterinarian’s blessing. 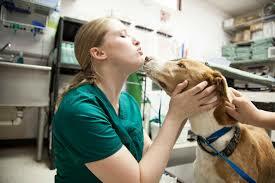 If given a proper dosage, a dog’s body can tolerate the medication without succumbing to side-effects. However, if your dog is sneezing or scratching profusely, don’t run to your corner drug store and pick up a packet of Benadryl just yet. It’s important that you know a few things about when and how to administer the medication to your four-legged friend. It also helps to know a little bit about the drug itself. Benadryl is the over-the-counter brand name for an antihistamine also known as diphenhydramine. In scientific jargon, it is an antagonist that blocks your dog’s brain synapses from sending out commands to create symptoms common with allergies. In other words, it works by telling your dog’s body to stop producing icky stuff. Along the way, Benadryl also blocks what are known as acetylcholine receptors, and their inhibition causes drowsiness and sleepiness. This may act as a benefit to your dog, as it will help him slow down and get the rest he needs to knock the allergy out of his system. One of the effects Benadryl exhibits in dogs that it does not do in humans is inhibit vomiting. It does this by blocking impulses that stem from the section of the brain responsible for digestion and negative digestive functions, such as throwing up. This effect allows Benadryl to an even more attractive option for allergy prevention. Are There Times Where I Should Refrain from Using Benadryl? Just because Benadryl has been proven to be an effective weapon in the battle over canine allergies, that doesn’t mean it should be a universal go-to medication for any situation. There are certain times and conditions relating to your dog that may make using the anti-histamine a terrible idea. For example, Benadryl has been shown to impede the effectiveness of other medications that your dog may be currently taking to squelch other issues. If your dog is on any other type of medication, consult with your vet prior to administering Benadryl to make sure it’s safe. Benadryl may also serve to inadvertently exacerbate certain moderate to serious issues your dog may be suffering from. Some of these issues include glaucoma, cardiovascular disease, lung disease, and prostate enlargement. Again, check with your vet if you suspect that Benadryl might accidentally do more harm than good. What Dosage Should I be Giving My Dog? The amount of Benadryl you should administer to your dog depends on his body weight. Unfortunately, (or fortunately if you’re a numbers person), this means you’re going to have to do a little math in order to administer the proper dosage. The rule of thumb with Benadryl administration for dogs is to give them 1 milligram per pound of body weight, 2 to 3 times daily. If you have a 25-pound dog, for instance, you’ll want to give him 25 milligrams per administration session, which is a dosage most drug stores conveniently have in tablet form. If you have a smaller dog or if you want a more precise measurement, you may want to consider giving your dog the liquid version of the medication. Whether you go the liquid or tablet route, though, you need to make sure you’re double-checking the dosage before you provide your pooch with the med. The biggest side effect to taking Benadryl is sleepiness. However, because this ends up promoting the type of rest your pooch may be reluctant to partake on his own accord, you may consider this a feature instead of a bug. As we can relate from our own human experiences, “shutting down” can be quite effective. The other side effects that have been linked to Benadryl are a loss of appetite or an upset stomach, the latter of which could lead to vomiting and/or diarrhea. However, these conditions are considered rare at best. Chances are, they will be things your dog won’t ever experience. When Should I Escalate Treatment to the Veterinarian Stage? While Benadryl can be an effective treatment for canine allergies, it should be noted that it is only effective for mild to moderate allergies. It should not be considered a worthwhile treatment if your dog is suffering from an acute or severe reaction. The med won’t do your pooch any good if his face is swelling or he can’t breathe properly. In the case of an acute allergic reaction, you must take your dog to a vet immediately. If it’s past your normal vet’s clinical hours, seek out the nearest emergency vet clinic. Don’t assume he’ll be able to hang in there until the next morning – he may not be able to. In these situations, your vet will obviously be able to provide an immediate, heavy-duty allergy treatment for your pooch. At the same time, he or she may be able to detect the underlying cause of the severe breakout, and may respond by prescribing a combination of medications and/or treatments to combat the issue at its roots. A sick dog can oftentimes create a nervous owner. However, if your pooch is simply suffering from a mild allergic reaction, providing him the right dosage of Benadryl will clear his issues up relatively fast. Chances are, it will do a lot to calm your nerves, too.